LEGO Jurassic World Sets Confirmed by Chris Pratt? 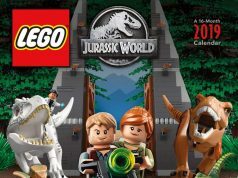 Home LEGO Jurassic World LEGO Jurassic World Sets Confirmed by Chris Pratt? As I was coming out from seeing Guardians of the Galaxy, I came across a very interesting post by Brick Fanatics. Since there was no information from Legendary Pictures at San Diego Comic Con 2014 for Jurassic World, this is probably one of the biggest info for the movie. This is awesome news for people who are fans of the Jurassic Park franchise, like me. 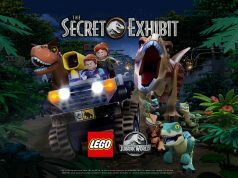 For people who missed out on the LEGO Dino sets from a few years ago, these new LEGO Jurassic World sets gives us an opportunity to get more dinosaur figures. The movie has a release date of June 12, 2015. What are your thoughts on this revelation? 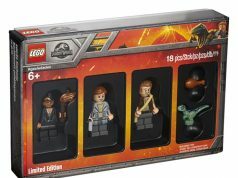 Update: After doing some research, another building blocks company has the license for Jurassic Park sets. I’m not sure if Chris was confused by that or if indeed LEGO will have sets based on the movie. Considering that he played the main character in The LEGO Movie, he should know the difference between LEGO and another brand. Update 2: As we mentioned before, another company (Hasbro/KRE-O) had the license to produce the building sets but there have been comments that their license has expired or will be expiring soon. This gives an opportunity for LEGO to produce the sets next year. We’ll keep you updated.